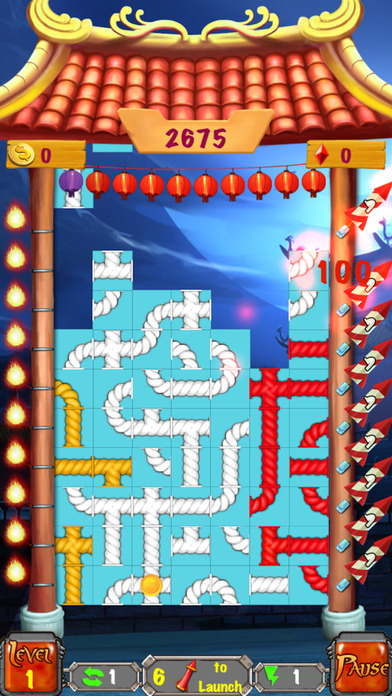 Rocket Frenzy Deluxe is an attractive puzzle game. Twist and turn the pipes link to rockets and shoot them across the sky that full of shimmering colors of New Year. There are many kinds of colorful rockets with many different levels. The higher level of Rocket you gain, the more points you achieve. Try to upgrade the rocket to the highest level and also try to arrange the Rocket map to shoot lots of rockets at one time. It would be excellent! Collect coins along the way, using the help to refresh your map for finding the link pipes easily. In critical situation, use “Quick Fireworks” feature. The pipes will be automatically linked to fire, fireworks will be shot. 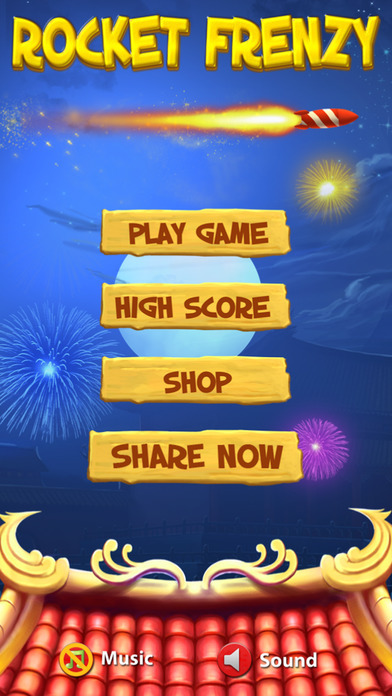 The most amazing thing of the game is you will be immersed in the bustle atmosphere of New year. Modes of game is endless, you entirely not be limited by a certain level. Let’s start playing, see how many Rockets you can shoot at one time? — Images are nice & sharp, vivid sound.